MERRY MERRY MONTH OF MAY! 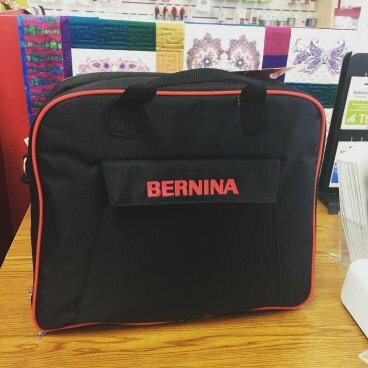 We have so many great things happening right now at Bernina of Oklahoma City! 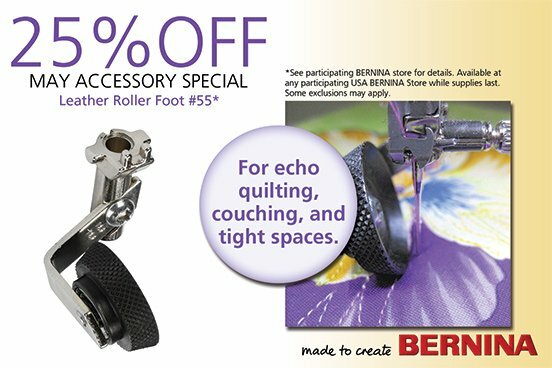 It's our Anniversary Sale this Month so be sure to check out the savings! We've got up to 6 years no interest with equal payments. 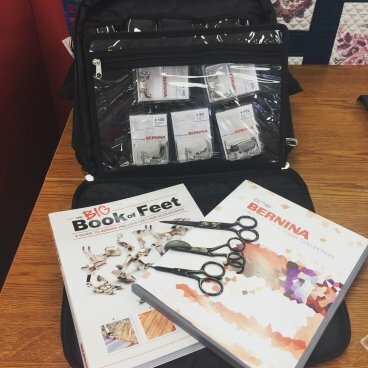 You can also get a free Accessory Suite Case packed full with an assortment of Bernina D Presser feet, the OESD BERNINA Creative Collection, the Big Book of feet, an assortment of Bernina Sciossors *FREE* with the purchase of a Bernina 590E, Bernina 790+, or Bernina 880+. 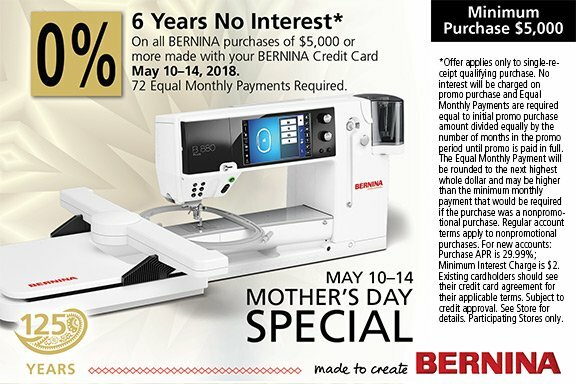 A $749 dollar value FREE as our gift to you. We will have a new specials all month long, so keep checking in! It's time for a refresh for the knits we have in the back for classes so GET 30% OFF CLOUD 9 ORGANIC COTTON KNITS MAY 4th - May 7th! Newsletter is at the publisher's but the classes are already on the website so check the calendar and sign up today!